High capacity battery for DK-PV500--. Up to 6 hours recording. 220V battery charger for DK-PV500--. Suitable for both standard and long-life battery. DK Series mini digital video recorders and mini-cameras are powerful pocket-sized video recording systems specially designed for making hidden videos with the camera being worn. These versions, for analog cameras, are suitable to any kind of CVBS camera and can be used in several other applications which require a mobile video recording system. Our DK-series mini DVRs are available in two versions: for standard analog cameras and for special digital cameras. The analog camera versions, shown on this page, offer the advantage of being able to work with dedicated cameras as well as with any other standard analog CVBS camera. Wearable cameras. 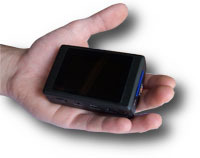 The video recorder can be kept in a pocket and turned on when needed. Sport cameras. Ultra-compact size and weight allow sportsmen to record their performance without mounting funny devices on the head. Law enforcement cameras. The totally invisible camera makes this type of product ideal to be worn by the police and to document the progress of the actions. Vehicles cameras. 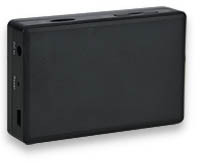 Vibration and shock-proof, these DVR can be used on mobile vehicles. Technical monitoring tools. The built-in monitor make these DVR ideal for industrial inspections in chimneys, tanks etc. DK-PV500LW DVRs are small enough to fit into a cigarette packet. Small size 80x52x22 mm and 91 grams weight, make these DVRs a genuine pocket video recorder. These DVR can be easily carried in a pocket or hidden inside any type of object. The built-in battery provides power to the camera as well. 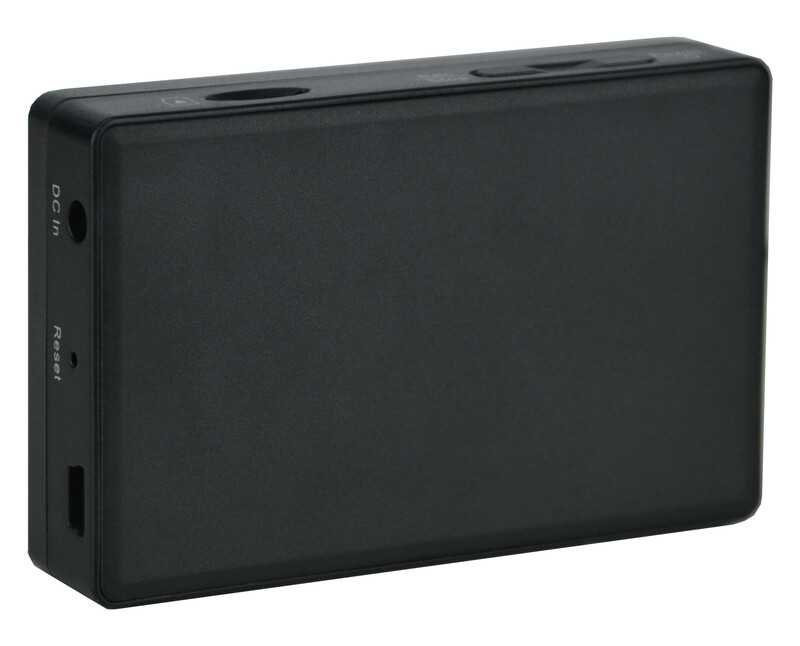 The DK-series DVRs are made for maximum video quality in covert surveillance. They record video and audio using H.264 compression, the same used by our desktop DVRs. The DK series video recorders for analog cameras record 720x576, Full D1, video resolution @ 30 f / sec with any analog cameras. Full D1 is the maximum resolution obtainable from a standard analogue video signal. Take a look at our DK DVR for digital cameras if you are interested in highest resolution systems for investigation. Unlike other CCTV applications, investigation equipment requires a very high audio recording quality. While developing DK series DVR, audio quality has been kept in very high consideration. Any sound in the room is recorded clearly and is perfectly synchronized with the video. No background noise and no distortion make any word perfectly understandable. The media used for video storage are common SD cards, widely used in digital cameras. These are small, secure memory units which are shock and vibration resistant. These DVR are suitable for any kind of micro SD card up to 32 GB. These video recorders come with built-in rechargeable lithium battery. An AC/DC power adaptor is supplied for recharging or recording under mains power. If our dedicated analog cameras RE-TCN9XH and DK-TCN9CH, are used, the battery of the video recorder also powers the camera. Models DK-PV500LW provide around 200 minutes battery life time (including camera), the model DK-PV1000 gets to 180 minutes. The video recorders can also function on mains power for continuous surveillance, using the internal batteries as a back-up in the event of a power failure. 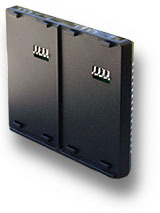 A high capacity battery is available for DK-PV500LW/E and provides up to 6 hours recording (Ref. DK-B1E). It is possible to order several batteries and charge them with the 220V battery charger (Ref. DK-BCE). DK-PV500LW + cam. min. 200 minutes rec. Manual recording - Easy to control without looking at the video recorder, just by placing your hand in your pocket. Automatic overwrite - This option allows continuous recording. Older video files are automatically overwritten once the memory is full. Date/Time overlay - Current date and time can be recorded in a corner of every frame for improve the effectiveness of the video when it is used as an evidence. In case date and time overlay is not acceptable, like in TV broadcasting applications, this can be excluded in the DVR configuration. Using the USB cable supplied you can connect the device to your PC, which will immediately recognize it as an external hard drive. You can search through the videos and copy the files to your PC Hard drive for off-line playing and video editing. All footage are saved in MOV or AVI format with H.264 compression. They can be played with any common media player like Windows MediaPlayer or VLC and modified with most video editing software without any need of video conversion. DK-PV500LW is designed to be controlled by smartphone via WiFi and therefore is supplied without monitor. You can connect with a smartphone or a tablet, by downloading our free APP for Android/iOS. You can connect directly to the wifi network created by the device, or connect the DVR to your wifi network. When the device is new behaves like a Wi-Fi access point. 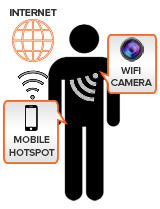 You can find it among the available Wi-Fi networks, in the Wi-Fi setting of your mobile device. You can connect to the DVR like you do with any normal Wi-Fi network. Should you have a Wi-Fi network at home, the camera can be switched to Wi-Fi client mode and connect to your existing Wi-Fi. Through a simple, easy to use, APP, you can set the recording mode, watch live video and download video files. Like our best surveillance DVR, these wifi DVRs come with free Peer-To-Peer cloud service. You can enjoy live view over the Internet with your smartphone, just entering your ID and your password. There is no need of static IP address or router port forwarding because our P2P server does the job for you. Just install the APP and watch your camera on your smartphone or tablet, wherever you are. 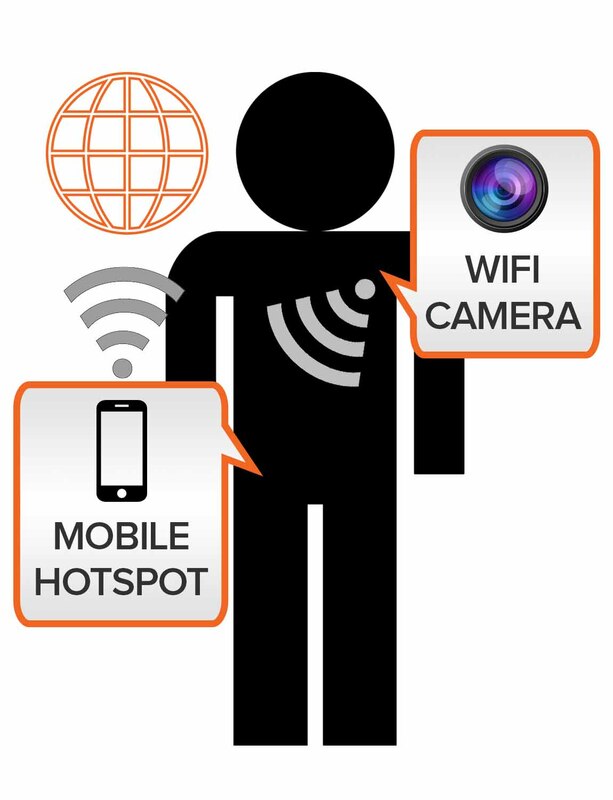 By taking advantage of the wifi connection and the P2P cloud service included in these products you can easily create a wearable camera that can be reached via the Internet at any time. All you have to do is keeping a smartphone in hotspot mode and connect the DVR to the wifi network generated by the mobile phone. Thanks to the P2P cloud server anybody will be able to connect to the camera you are wearing via the Internet. This is a very interesting application that can be used in several field where it is necessary to allow other people to follow the actions. To get the best performance from DK series video recorders it is advisable to use them with DSE analog covert cameras, designed to be easily hidden or worn. The mini-jack of the camera is inserted directly into the video recorder and the camera is powered by its internal battery. In addition to having connectors already set up for coupling with DVRs, these cameras have a video resolution and audio quality that match the DVRs. DK-TCN9XH is an analog camera designed for covert application. It comes with a high resolution SONY CCD which provides professional video quality. The camera measures only 26x22 mm, it is very light and the cable exit is set downward so as to keep the thickness occupied to a minimum. It can easily be hidden inside any object or worn between clothes. This camera is designed for high quality, analog video and audio recording It comes with a separate, highly sensitive microphone, which can be easily placed in the most effective position. The microphone has been designed to pick up audio signal in an average size room even through clothes or objects. Therefore there is no need of making an aperture to the outside. The camera has a 4.3 mm PIN-HOLE lens which offers excellent wide-angle vision through a 1 mm hole. The lens is designed to accept a removable mimetic element on top which make the lens to look like a button or a screw. Each type of masking element is supplied as a set of 5, to enable, for example, all the buttons on a jacket to be replaced. These masking elements enable the camera to be totally concealed both in a fixed location or in clothing, and ensure that the correct position of the lens is maintained. It is also possible to use the lens without masking, simply by placing it behind a hole. If you are using this camera with DK portable DVRs you do not have to bring power to it. 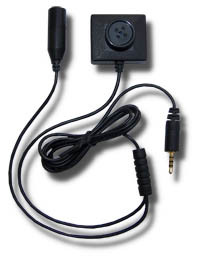 If you use this camera with other devices you must power it with a 5 to 12 VDC adaptor (not included). DK-TCN9CH is same as the previous model, but professionally concealed in an elegant tie. The lens is absolutely invisible from the outside and its position, just below the node, always allows a perfect angle of view. This tie camera is the ideal solution if you are looking for a ready-to-use wearing camera. 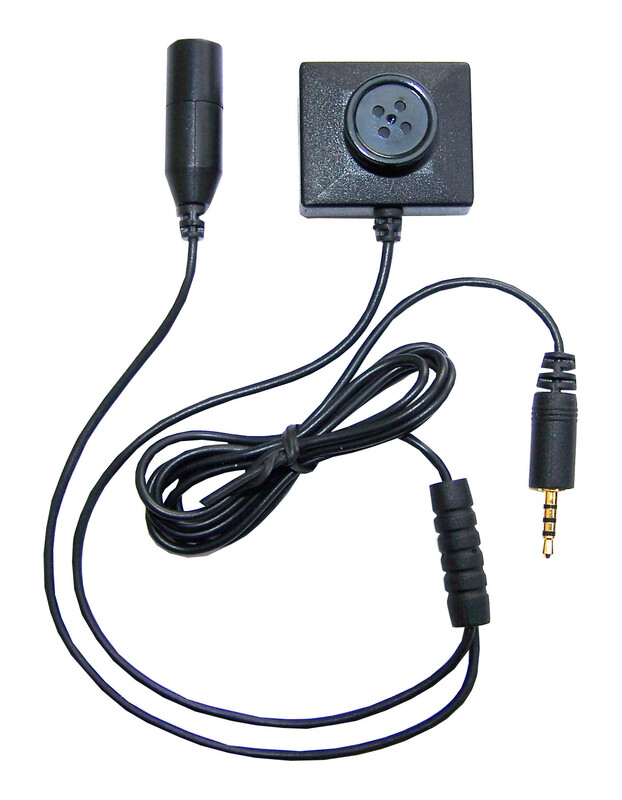 These video recorders can also be used with any generic CVBS cameras, both hidden and traditional type, using the RCA adaptor cable supplied. In such a case the camera must have its own power source.